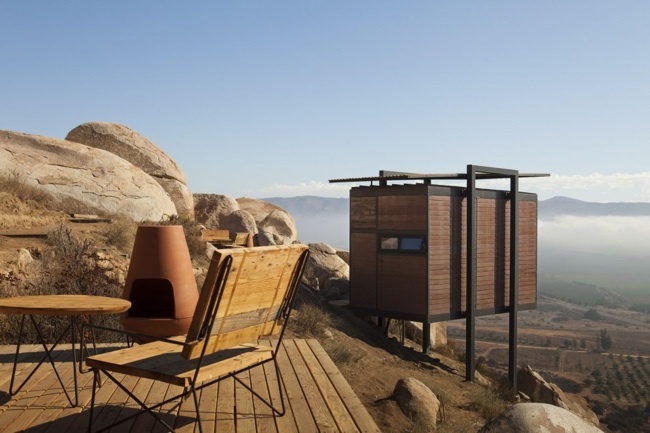 the rustic hues of the encompassing nature. 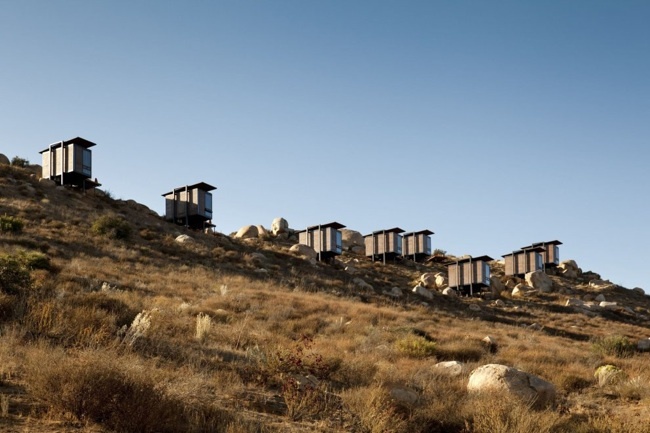 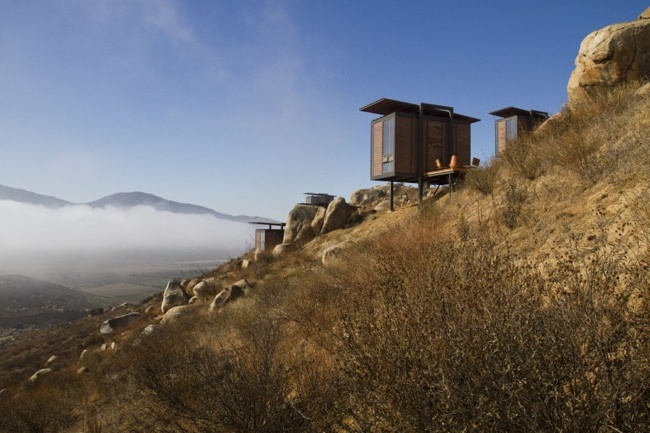 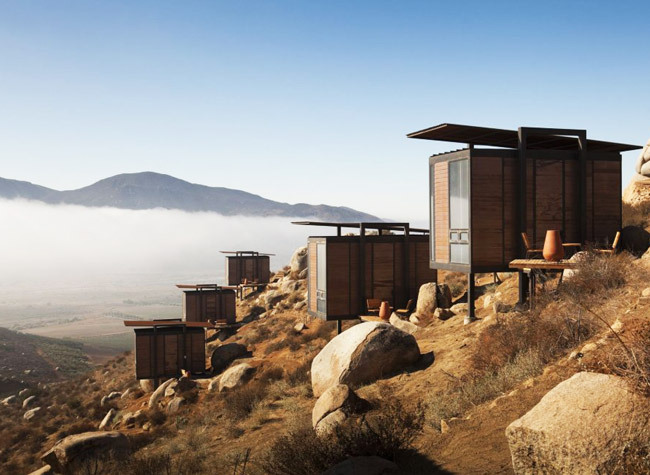 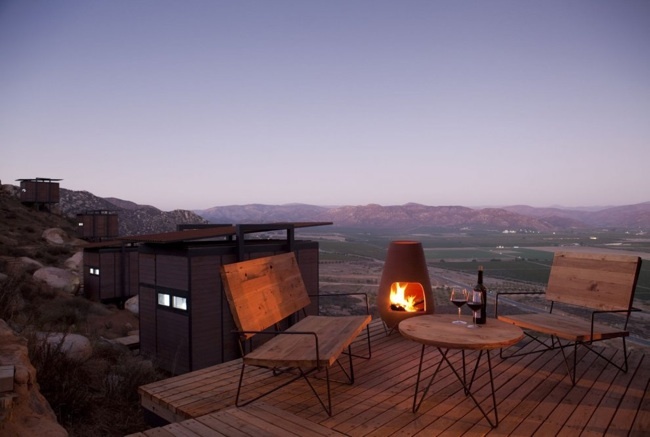 Consisting of 20 casitas, aka ecolofts on stilts, each one has a terrace, a clay fireplace and views of the Guadalupe valley below. 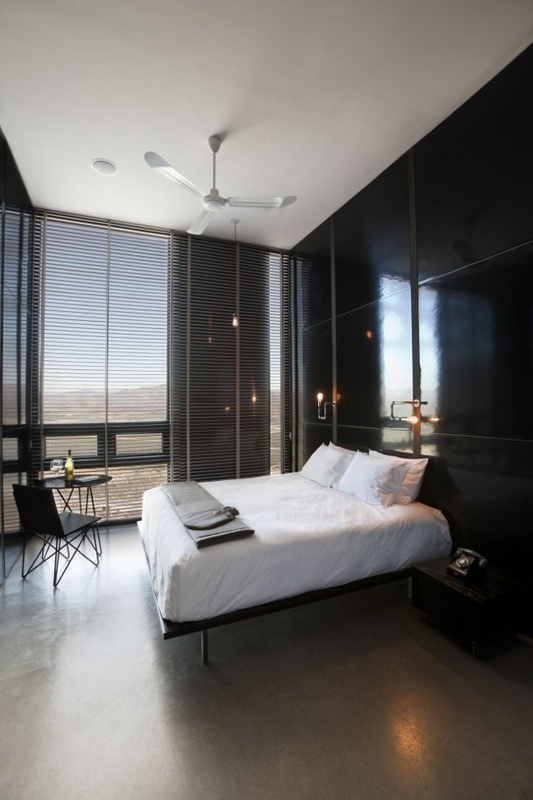 Inside, the style is surprisingly sleek and modern. 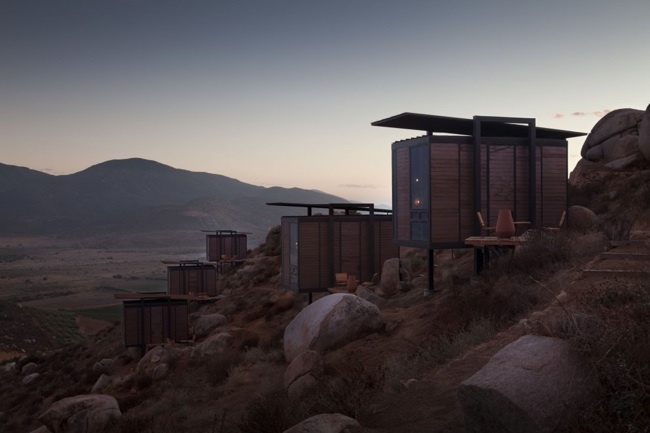 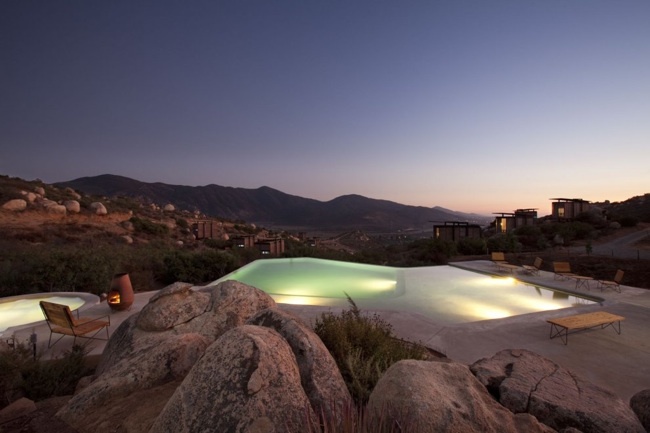 There's also a swimming pool and hot tub nestled into the craggy mountainside and a gourmet restaurant run by the Culinary Arts School of Tijuana. 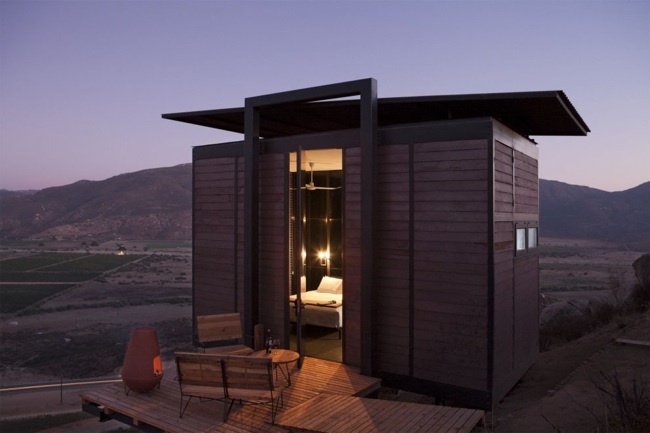 More at Gracia Studio.